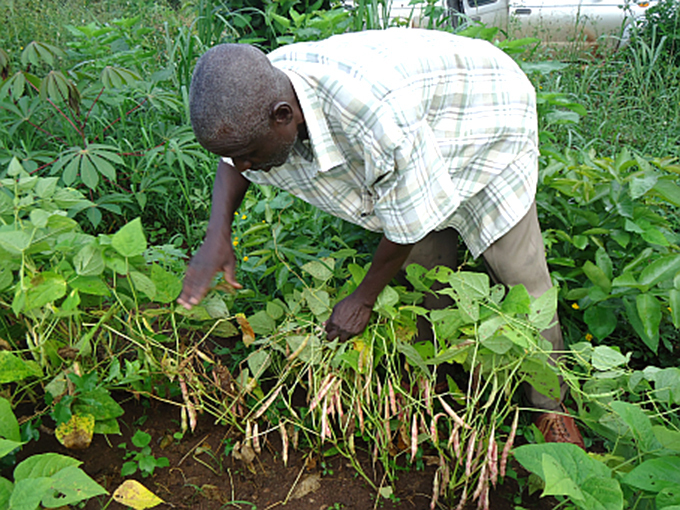 The test results of a new sowing app for groundnut farmers reveal that 175 smallholder farmers who followed the advice provided for sowing and managing their crop experienced a 30% yield increase. These farmers, based in Andhra Pradesh, India, received ten sowing advisories through SMS in the local language (Telugu). Messages contained essential information such as: land preparation, soil test based fertilizer application, farm yard manure application, seed treatment, optimum sowing depth, preventive weed management, maintaining proper plant density, observing boron and zinc deficiency in field and applying nutrients if needed, harvesting, shade drying of harvested pods and correct storage practices. Based on the advice received, farmers sowed groundnut in the last week of June and first week of July 2016. The crop sowing period was calculated based on historic climate data spanning over 30 years (1986- 2015) for Devanakonda area in Andhra Pradesh. Two step computations were done based on 1) present moisture adequacy index (MAI) calculated from the daily rainfall recorded and reported by the Andhra Pradesh State Development Planning Society and 2) future MAI calculated from daily rainfall forecasted for the area by aWhere Inc., for the next five days. Based on these computations, the optimum sowing period was estimated to start from 24 June, which was followed by the registered farmers. 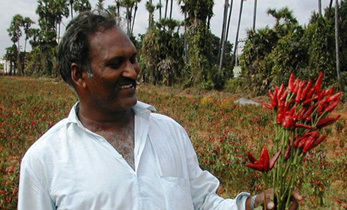 Subsequently, sowing advisories were initiated and disseminated to those farmers. Dissemination of advisories continued till harvesting of crop. Testing of the sowing recommendation and advisories was done in comparison with farmers who sowed during the first week of June 2016. However, during the 31 day period, starting from 10 August 2016, Devanakonda received meagre rainfall of about 8 mm and the groundnut crop sown in the first week of June was badly affected by lack of soil moisture. In some farmers’ fields, the crop dried up and rains received later did not improve the situation. On the other hand, crop sown during last week of June and first week of July were able to recover from the moisture stress after receiving rains from 11 September onwards. Crop cutting experiments conducted at selected farmers’ plots indicated that registered farmers who have sown as per the advisory have obtained 30% increase in yields compared to some of the non-registered farmers, who had sown in the first week of June 2016. “We are excited about the results that have emerged from the use of the sowing application and personalized village advisory dashboard. 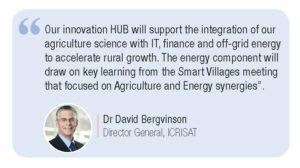 We look forward to continuing our partnership with Microsoft to enhance incomes and improve the lives of smallholder farmers, and give a boost to our digital agriculture initiative in a big way,” said Dr David Bergvinson, Director General, ICRISAT. In tandem with the application a personalized village advisory dashboard has also been developed to provide predictive analytics. This dashboard provides insights around soil health, fertilizer recommendations, and seven day weather forecasts derived from weather observations systems and global forecast models. The sowing application is a joint partnership between the Government of Andhra Pradesh, Microsoft India (R&D) Pvt. Ltd. and ICRISAT. The pilot was implemented in Devanakonda administrative area in Kurnool district of Andhra Pradesh. The results of the pilot were announced on 9 January in a panel discussion at the 20th National Conference on e-Governance in Visakhapatnam, Andhra Pradesh. Partners: Government of Andhra Pradesh, Microsoft India (R&D) Pvt. Ltd, Chaitanya Youth Association, ICRISAT and partners. Partners: USAID-Feed the Future, CIAT, International Institute of Tropical Agriculture (IITA), national agricultural research system (NARS), partners from sub-Saharan Africa and India and ICRISAT. 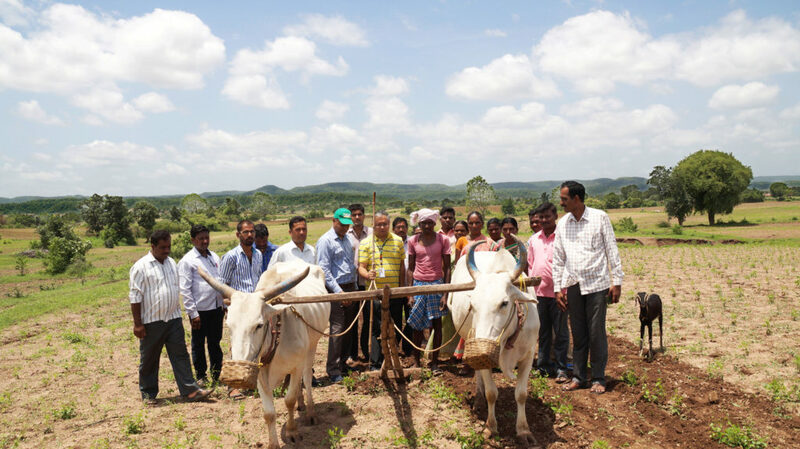 Project: Sustainable Agricultural Development through Value Addition and Linking Tribal Farmers to Markets in Adilabad district of Telangana – Transitioning Tribal Farmers from Traditional to Modern Agriculture; Vanabandhu Kalyan Yojana. Investor: Integrated Tribal Development Agency (ITDA), Utnoor, Adilabad district, Telangana, India. Partners: Government of Telangana, Agribusiness and Innovation Platform, ICRISAT and partners. A new study reveals that using farm level rainwater harvesting structures (RWHS) significantly increases farm productivity, cropping intensity, farm income and household income. 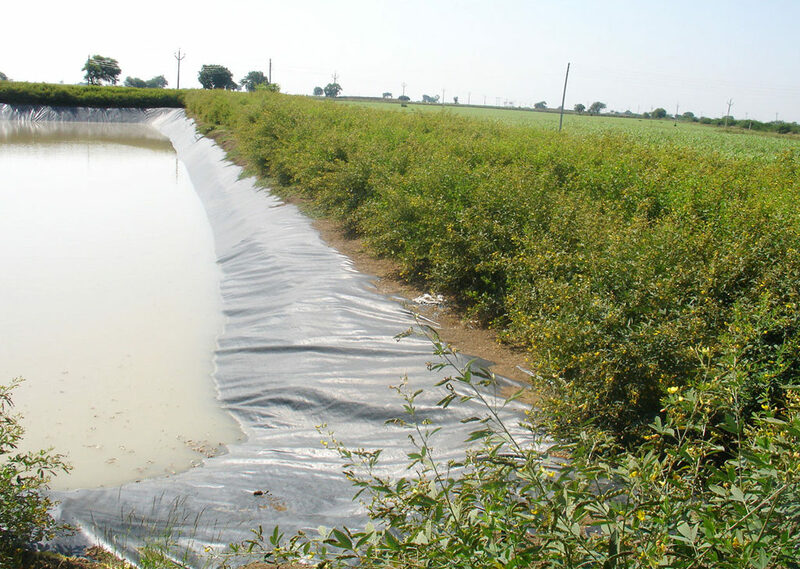 Farmers using farm ponds in Akola district, Maharashtra, for example, have experienced an increase in farm productivity (12 - 72%), while in Chittoor district, Andhra Pradesh, RWHS resulted in farm diversification into fruits, vegetables and livestock production. 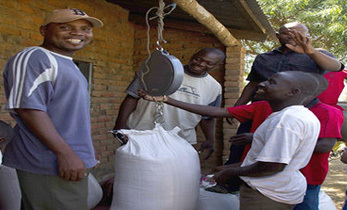 This has doubled the household’s annual income from a low base of around USD 250 to more than USD 500. This supplemental irrigation for Chittoor farmers, increased productivity of various rainfed crops such as pigeonpea, chickpea, groundnut, cotton, vegetables, mango and coconut which ranged from 5% to 72% (see table). On average the yield increase, compared to fields with no access to farm pond water, was 51% in pigeon pea, 55% in chickpea, 36% in cotton and 12.5% in soybean. In Akola district, pond water could provide supplemental irrigation to >2 ha area for a household. With a more regular water availability, farmers planted additional fruit trees and it also resulted in productivity increase of existing fruit trees: mango (39%) in Chittoor district and coconut (51%) in Vellore district, Tamil Nadu. As crop productivity increased, there was also an increase in access to crop residues as fodder and drinking water for cattle. This in turn increased milk production. 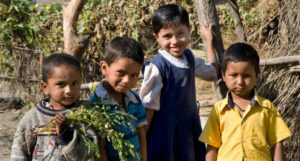 The study notes additional residual impacts on farmers and farming households due to RWHS: For example in Chittoor, additional income gained from higher production of mango and vegetable crops was used to educate children and acquire diesel operated pump sets for their own use or for hire. This study was conducted in five districts of India: Chittoor, Akola, Bangalore rural, Vellore and Bhilwara. These districts have diverse soil types with a varied annual rainfall from 327 to 949 mm. The study uses data from surveys and focus group discussions to assess the performance of farm level rainwater harvesting under different agro-climatic conditions covering semi-arid and arid regions in India. Shalander Kumar, Thiagarajah Ramilan, CA Ramarao, Ch. Srinivasa Rao and Anthony Whitbread. 2016. Farm level rainwater harvesting across different agro climatic regions of India: Assessing performance and its determinants. Agricultural Water Management, 176:55-66. The Indian Food Composition Tables (IFCT) - 2017 was recently released by the Government of India. The publication contains data on 586 varieties of Indian food and their nutritive values. This is the first expansive and comprehensive food composition data to be released since 1971 with its own complete food composition database. The IFCT serves as a handbook that will be just as relevant to the general public in making dietary choices as it will be for dieticians, medical and health professionals and students of nutrition. It forms a basis for developing dietary guidelines, framing of food regulations and food safety mechanisms and consumer education. The food industry can capitalize on this data for labeling and product development. The IFCT also has the potential to guide planning of institutional diets, sports nutrition and the food service industry. “This will also be translated to something usable and helpful to the common person, as a mobile app, which will be ready in a couple of months,” said Mr JP Nadda, Union Minister for Health and Family Welfare, Government of India. The Indian Council of Medical Research (ICMR) in 2011, initiated the Indian national food sampling and analysis program to develop a new and authoritative source of food composition data in India. Key foods were prioritized and analyzed for a comprehensive set of nutrients at the National Institute of Nutrition (NIN), Hyderabad. Dr T Longvah, in India, malnutrition in children had been decreasing until 1997. However, since then it has stagnated at 43%. Diabetes is increasing currently reaching 6% and 23% of the population suffers from hypertension. “We have more than 1,100 crops being cultivated in India and we need to have the nutritional value of each variety. Soil type, weather and many other factors affect their nutritional value. Agricultural systems contribute to nutritional security and science backed solutions are critical to address the needs,” said Dr Trilochan Mohapatra, Secretary, Department of Agricultural Research and Education (DARE) and Director General, Indian Council of Agricultural Research and Board Member, ICRISAT. Dr Soumya Swaminathan, Director General, ICMR, indicated that the database gives a better idea of what the average Indian is eating and will help in tackling the issue of hidden hunger. The urgency and importance of meeting the sustainable development goals (SDG) was highlighted by Dr Hameed Nuru, Representative and Country Director, World Food Programme (WFP) India. “SDG targets cannot be met globally if not met in India. Interest in non-nutritive components is also a growing area and less collected. These data include this. WFP is working with the Government of India to set up pilots and scale up successful approaches to fight hunger and malnutrition. We are at a crossroads in India now. 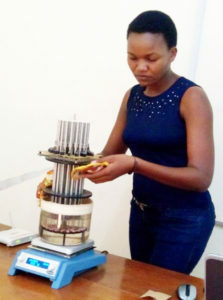 The tools are here, the opportunities are here and the time is now,” said Dr Nuru. The book was released by Mr Nadda at the ‘International Symposium on Food Composition in Nutrition and Health’, organized in New Delhi on 18 January. ICRISAT is working with NIN to apply the nutritional information on millets, sorghum and legumes to the future of scientific research for development and incorporating into the Smart Food initiative. 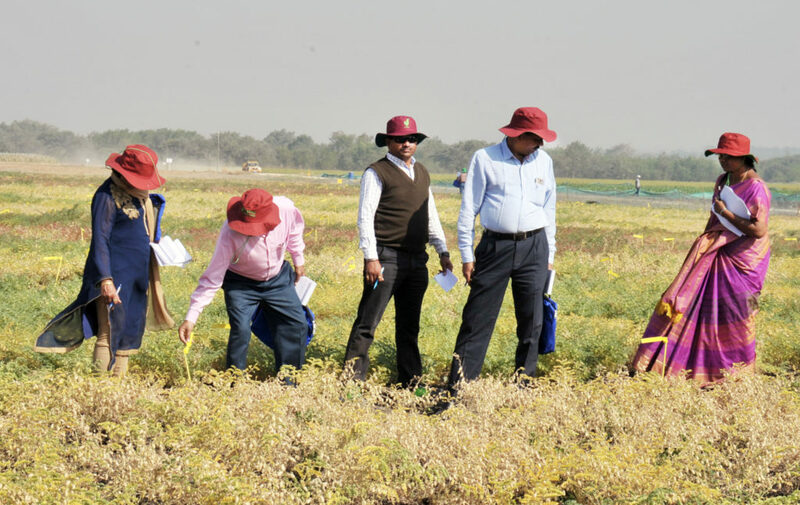 During the chickpea scientists’ meeting at ICRISAT, participants selected a large number of breeding lines from various fields for further research. These lines will be supplied to them after harvest. The developments in chickpea research at ICRISAT with partners was explained by Dr Pooran Gaur, Theme Leader-Crop Improvement, ICRISAT, India. He highlighted the significant progress made in the development of breeding lines with improved drought and heat tolerance and suitability to machine harvesting. A brief account of the strategies to attain chickpea self-sufficiency in India was delivered by Dr NP Singh, Director, Indian Institute of Pulses Research (IIPR). He emphasized on: enhancing area under rice-fallows; productivity gains (through adoption of improved varieties and production technologies); and policy support required to make farming profitable to farmers. He also emphasized that pulses should be brought into the public distribution system and mid-day meal schemes for providing nutritional benefits to children and economically weaker households. A special session was organized on ‘Breeding Management System (BMS)’ in which Dr Abhisekh Rathore, Theme Leader-Statistics, Bioinformatics & Data Management, ICRISAT, India, and his team presented various features of BMS to the participants. 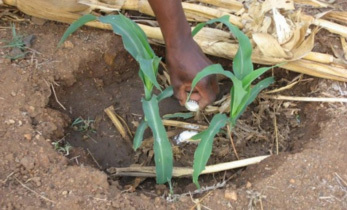 The BMS is a suite of interconnected software specifically designed to help plant breeders manage their daily activities through all phases of the breeding programs. 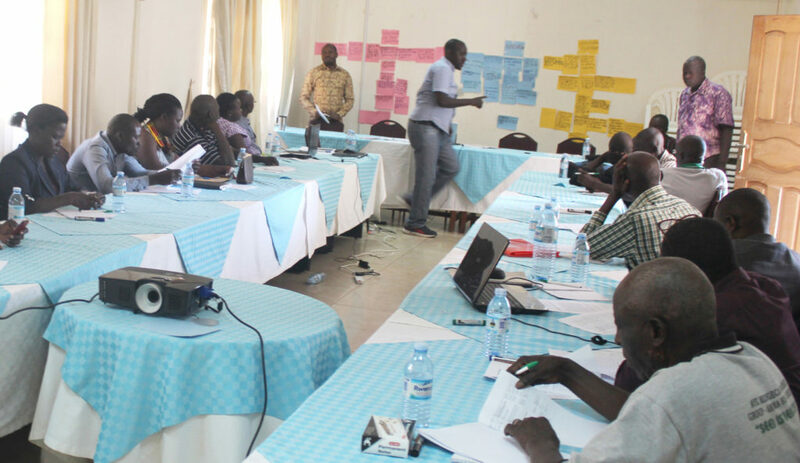 During the closing session, progress on the advancement of transgenic chickpea and pigeonpea was discussed. It was also emphasized that dry root rot is emerging as a major disease of chickpea in central and southern India. There is a need to strengthen efforts for identification of sources of resistance from the germplasm of cultivated and wild species, and understanding variability in the pathogen. 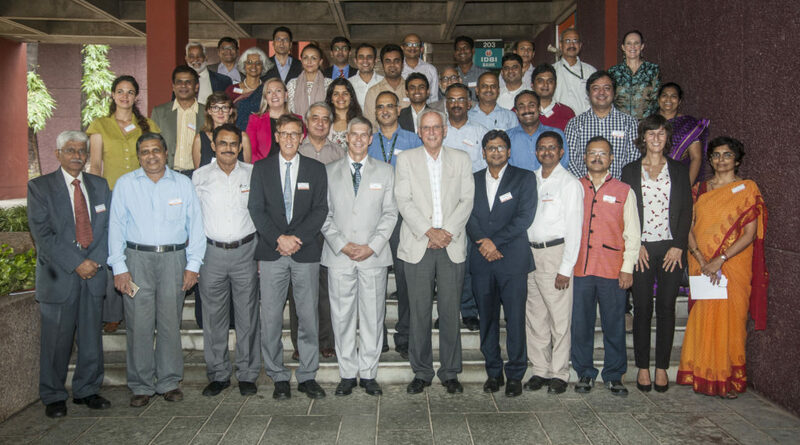 The annual chickpea scientists’ meet took place at ICRISAT India on 5 – 6 January and was jointly organized by Indian Council of Agricultural Research (ICAR) and ICRISAT. Thirty seven scientists from 17 states of India, working in various ICAR institutes and state agricultural universities and 20 scientists from ICRISAT attended the meeting. The next chickpea scientists’ meet will be organized at IIPR, Kanpur in March 2018. ICAR-ICRISAT partnership in chickpea improvement research has been effective in the development of improved varieties. The breeding materials supplied by ICRISAT to ICAR institutes and state agricultural universities have led to the release of 42 varieties (29 desi and 13 kabuli) in India. Nineteen of these varieties (JAKI 9218, JG 11, JG 14, JG 130, Virat, JG 16, Vishal, JG 6, KAK 2, RVG 201, JGK 3, RVG 203, JGK 2, Vaibhav, GG 4, Pratap Chana 1, Ujjawal, Himachal Chana 2, NBeG 3) are in the seed chain and have a share of 53% in the total indent of chickpea breeder seed in India for 2017-18. Description: The starting point needs to strengthen with the technology supply side of the value chain. Adoption of improved groundnut varieties, and allied management technologies leads to productivity gains, thereby increasing supply of grain to the market. 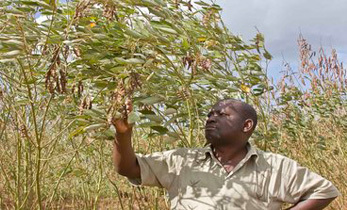 Diverse groundnut varieties are needed for different agro-ecological and market needs. In Malawi, ICRISAT has released 7 improved groundnut varieties that have addressed different needs of the actors in the value chain. In order for Zimbabwean farmers to tap into the growing regional and local markets for groundnut, there is need to use modern varieties and improve production technologies. Description: CARE, Plan and ICRISAT propose to implement the Enhancing Community Resilience and Sustainability (ECRAS) project in Chiredzi and Mwenezi Districts, aimed at increasing the capacities of communities to sustain development gains and achieve improved well-being outcomes in the face of shocks and stresses. 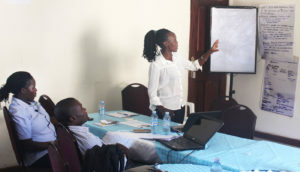 Through this project, ECRAS envisions the objective of enhancing Chiredzi and Mwenezi household and community resilience by improving their absorptive, adaptive and transformative capacities. By the end of the project, households and communities in the two districts will have increased capacity to access assets, opportunities and wider choices to improve their wellbeing outcomes and withstand shocks and stresses in a favourable enabling environment. Description: The Sorghum Genomics Toolbox is a new initiative funded by the BMGF which broadens the scope of earlier TERRA-REF project, funded by the Department of Energy (USA) and focused on bio-energy sorghum. The Sorghum Genomics Toolbox is focused on grain sorghum for SSA and aims at sequencing about 1000 genomes of diverse sorghum germplasm and at developing phenotyping hubs in Ethiopia in collaboration with EIAR, in Senegal in collaboration with CERAAS and CIRAD, and at ICRISAT-HQ in India. Phenotyping effort will combine both field phenotyping using multi-spectral imaging techniques (India, Ethiopia, Senegal), with platform-based phenotyping targeting key traits for crop adaptation (LeasyScan/LysiField at ICRISAT, PhenoArch at INRA Montpellier, LemnaTec platform at D Danforth Center in Missouri). This project is a rich partnership between leading national or regional research institute in SSA, together with CIRAD and ICRISAT, aiming at generating a rich source of genomic and phenomic information at different level of plant organization on a large and representative set of germplasm, opening opportunities to gear up the breeding of improved varieties for different regions of Sub-Saharan Africa. Understanding the Linkages between Crop Diversity and Household Dietary Diversity in the Semi-Arid Regions of India. Spectral matching techniques (SMTs) and automated cropland classification algorithms (ACCAs) for mapping croplands of Australia using MODIS 250-m time-series (2000–2015) data. Modelling cereal crops to assess future climate risk for family food self-sufficiency in southern Mali. The “efficient boundaries” of international agricultural research: A conceptual framework with empirical illustrations. Incorporation of satellite remote sensing pan-sharpened imagery into digital soil prediction and mapping models to characterize soil property variability in small agricultural fields. Assessing crop model improvements through comparison of sorghum (sorghum bicolor L. moench) simulation models: A case study of West African varieties. Population Dynamics of Lobster Moth, Neostauropus alternus Walker on Pigeonpea in Relation to Abiotic Factors of Pantnagar Region. Surely sub-Saharan Africa cannot feed itself with conventional crop production practices. The new technologies will certainly assist in improving crop production. Africa is certainly grateful for the combined therapy, while we congratulate ICRISAT on the 45th anniversary. I am also involved in the Groundnut Upscaling project in Nigeria, and wish to further inform you that our groundnut farmers had really benefitted from the intervention not only with respect to increased oil content but also improvement in grain production in the country. I look forward to receiving the next issue of Happenings while I also continue to expect to hear the development on our smart village proposal for north-western Nigeria. Thank you for this newsletter, with emphasis on community ownership and empowerment of market chain participation. The comment in one posting that the way the message is delivered is equally important as the technology itself, rings very true. 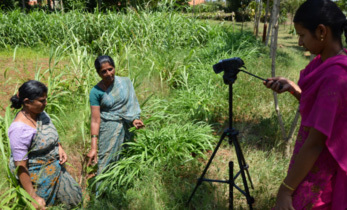 The role of ICRISAT as a catalyst is critical for dissemination and adoption of innovations – with implications for engaging counterpart organizations and individual researchers as equals in project design, operation, and management. I commend ICRISAT for taking these approaches. On irrigation I refer to the Report on Wheat Production and Marketing in Nigeria (1979) in which self-sufficiency for wheat seemed out of reach, and even more so now with population more than doubled, drastic contraction of lake Chad, and northern rivers in Nigeria under threat from climate change. The DG’s video message concluding 2016 and looking forward to 2017 is very meaningful and focused. 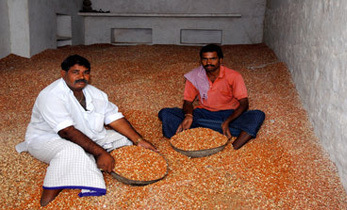 The write-up on making SSA self-sufficient in food grains is thought provoking. 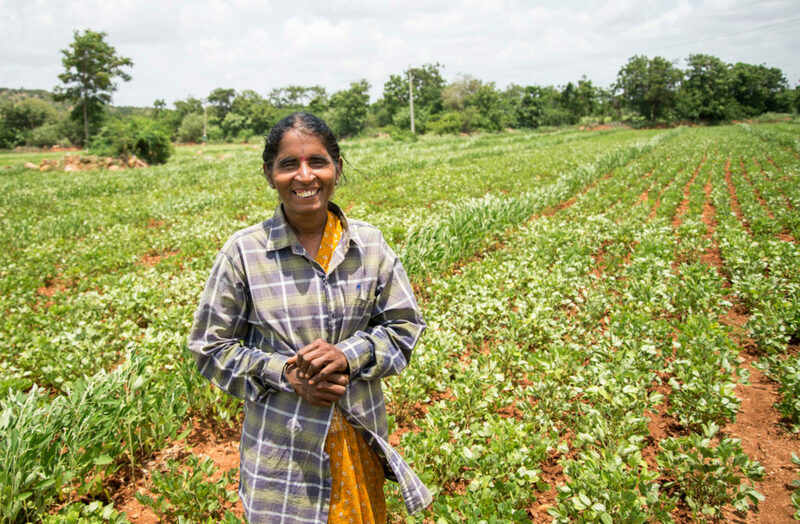 I think ICRISAT’s Watershed research and development in India highlights a sustainable integrated production system, which merits adoption and up-scaling with local adaptations in SSA. It has all the essential components of natural and community management system. It matches available natural resources to an efficient production system integrating animal components, community participation and market orientation. It is an all-inclusive sustainable system merits consideration and further debate.